For the couple who wants to be transfixed with beauty, culture and intrigue, a Japan honeymoon offers a strong mix of all of the above. For the couple who wants to be transfixed with beauty, culture and intrigue, a Japan honeymoon offers a strong mix of all of the above. This South Pacific country is renowned not only for it’s decadent, rich food but it’s fascinating customs. Unlike a newlywed getaway where you and your partner drift away by a crystal-blue water somewhere, a Japan honeymoon invites curious travelers into the wonderfully-weird world they’ve created and nurtured for centuries. From the congested chaos of Tokyo to the serene and picturesque beauty of Kyoto, you will not only challenge your traveling vulnerability but encounter experiences you’ll one day tell your grandchildren about. Here, the guide to an unforgettable Japan honeymoon, including when to go, where to visit and more. This country enjoys all four seasons - complete with flowering trees in the spring and heavy snowfall in the winter. This means that traveling on the off-season or the on-season is fully dependent on what city you’re touring. Like many large metropolitans, Tokyo will be overflowing both with people and temperatures in summer, while the spring and fall offer a more manageable and enjoyable experience. However, if you’re drawn to the countless temples and mountain views of Kyoto, the most popular time of year to trek for a Japan honeymoon is Autumn. As for the place where local Japanese couples often choose for their honeymoons, anniversaries or romantic excursions? Kinosaki, of course. 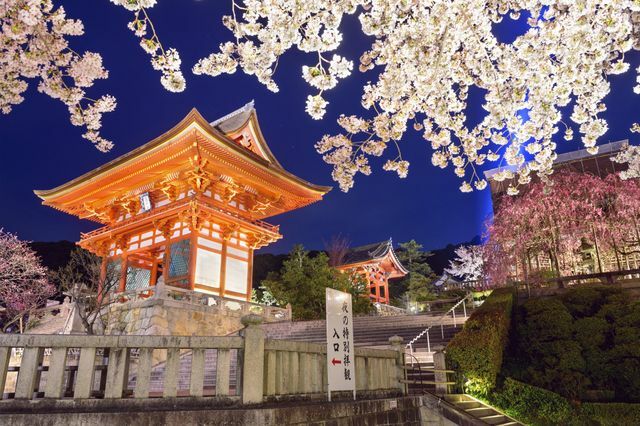 Though anytime you visit this town know for it’s onsens and charm it’ll be a sweet experience, many choose springtime, since their infamous cherry blossom trees highlight the narrow, romantic streets. If you’ve ever visited New York or Los Angeles, getting lost in the craziness of Tokyo is a mix between the two. Though it feels as congested as Manhattan with the most populous intersection in the world - Shibuya Crossing - it’s far more expansive like the various neighborhoods of Orange County. Especially if you’re inept to navigate a metro station, you’ll feel comfortable catching a train to visit the various landmarks, including Harajuku Takeshita street, where you can witness the crazy Japanese fashion firsthand. After catching cocktails on plenty rooftop bars throughout the city, you can sneak a selfie atop the iconic Tokyo Skytree and learn more about the capital’s history at the Sensoji temple. For Disney-loving couples, a day spent at Tokyo Disneyland or Tokyo DisneySea is a must, since there’s something a tad mind blowing about hearing your beloved Disney songs performed in the Japanese language. And if you can’t make it out to Mickey Mouse’s home, at least book a reservation at the Robot Restaurant for a glow-in-the-dark performance that’s better experienced a tad tipsy, followed by karaoke, of course. Don’t miss this local dish: Edomae-zushi, made from fresh fish caught in the Tokyo Bay. Once the capital of Japan, this beloved region is on the island of Honshu, just a quick flight south from Tokyo. When you first begin to explore, you’ll be instantly romanced by the small town feel that mixes ancient touches with modern beauty, where spotting a temple on your way to grab a bowl of ramen is a normal sighting. Here, you can spend your days venturing through endless temples, shrines, imperial palaces, gardens and catching sunrises or sunsets atop mountains. You can also have plenty of face-to-face encounters with wildlife, including monkeys at the Bamboo Forest and deers in Nara. To be like the locals, you and your forever partner should rent bikes to check off your sightseeing laundry list, since traffic here is relatively calm. 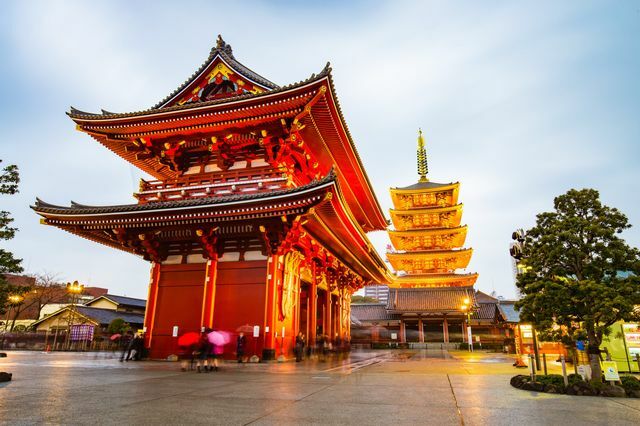 For those dynamic duos who seek educational pursuits on their Japan honeymoon, you can also book tours to learn about the geisha culture, as well as the history behind the countless markets and temples in the region. Don’t miss this dish: Kyo Kaiseki, a complicated dining style where you’re served a collection of tasty and beautiful dishes. 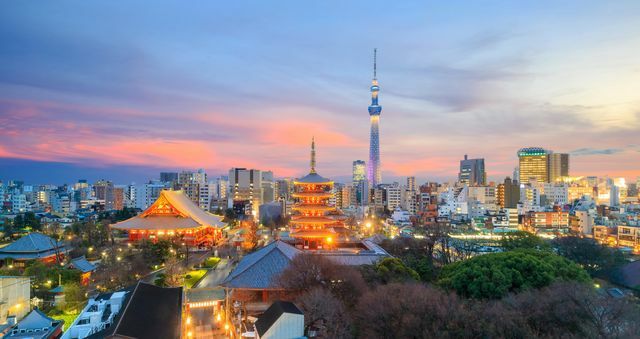 You likely haven’t read too much about Kinosaki in the past, but if you ever meet a local from, they’ll be quick to tell you that there is no better example of an ideal destination for a Japan honeymoon than this western city. Though quaint with a single two-lane street, it’s this dot on the map that many Japanese newlyweds seek for their post-nuptial getaway. Since this is the birthplace of the natural hot spring called ‘onsen’ - many duos flock here to cleanse away any impurities from the past, preparing them for a life and family together. While you’re here, it’s a must to stay at a traditional ryokan, where yep, you’ll sleep on the floor, but will also experience elaborate meals and bathing rituals you won’t find in any other area of Japan. Don’t miss this dish: During late fall, it’s snow crab season, prepared several ways, while cold Soba Noodles made of thick buckwheat and dipped in egg yolks and soy sauce is a year-round staple. Did anyone have a honey moon in Japan. Could you tell me how you liked it, where you stayed and how much it cost you?